Licensed Associate Real Estate Broker at Signature Premier Properties. 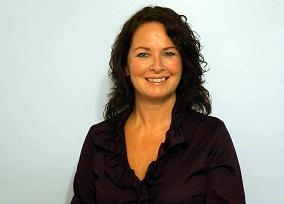 Jean specializes working with both Buyers and Sellers of residential properties, town houses, condo's, co-ops & land. Her goal as your full service Realtor is to provide you with honest, superior, professional and personal service at all times. Her expertise and extensive real estate experience will benefit you whether you are serious about buying or selling a home at this time or in the future. Jean offer's a Complimentary Market Home Evaluation to future sellers and an extensive marketing plan to get you the most money in the least amount of time. For Buyers that would like an agent to represent them with their home purchase, Jean offers buyer representation as an Accredited Buyer Representative and will negotiate on your behalf. Allan Dalton, the President of RISMedia's Top 5 Network congratulated Jean Gillin for earning this top status within her industry, Jean has reached the very highest level of North America's residential real estate industry. Not only is her professional accomplishments extraordinary, she has long been a true champion for home buyers and sellers in their area. It is a pleasure to welcome Jean into this elite group of industry leaders". According to John Featherston, Chairman of RISMedia, the significance of Top 5 in Real Estate is that consumers deserve full transparency regarding all matters related to the real estate transaction, which often begins with the need to select a highly competent, experienced and results-oriented real estate professional. Top 5 in Real Estate has been established to both empower consumers with leading real estate content through Top 5 members, as well as to ensure that consumers are made fully aware that there is a material difference between average and exceptional real estate professionals.